January--Another New Year in Paradise! 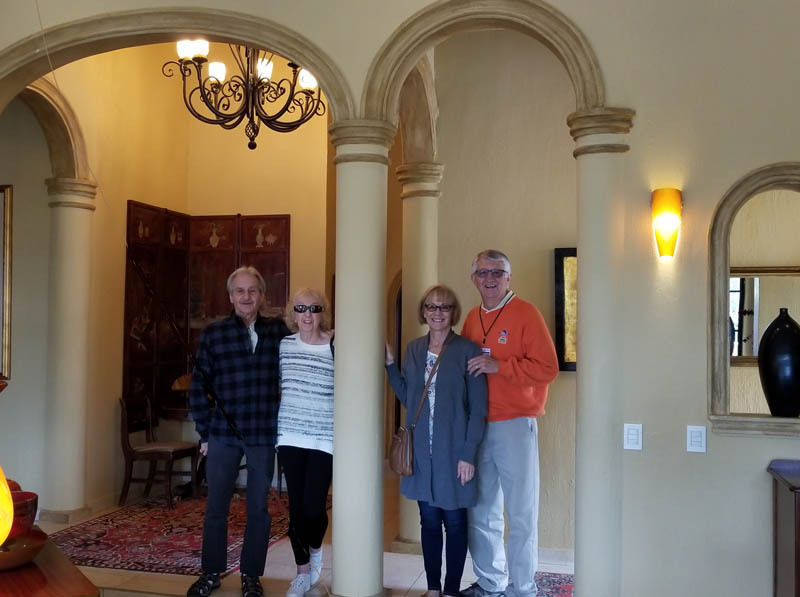 Jerry and Mary Barnhardt, Larry's cousins from Seattle were our first house guests in our new winter casa. 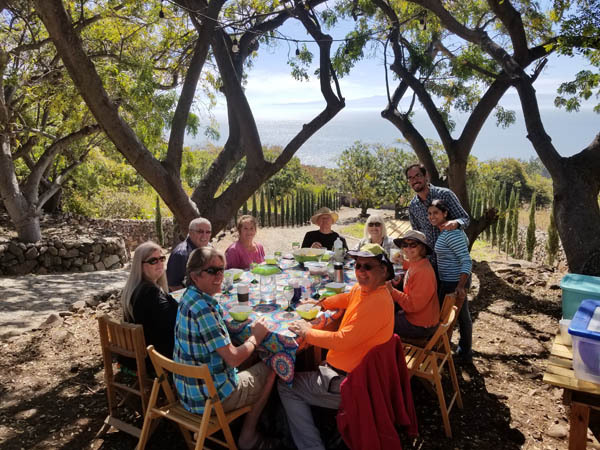 Here we are touring one of the "grander" homes on the Behind the Walls Home Tour--about four times larger than our home in El Parque. While smaller, they gave us rave reviews on our home, including how comfy the murphy bed was. 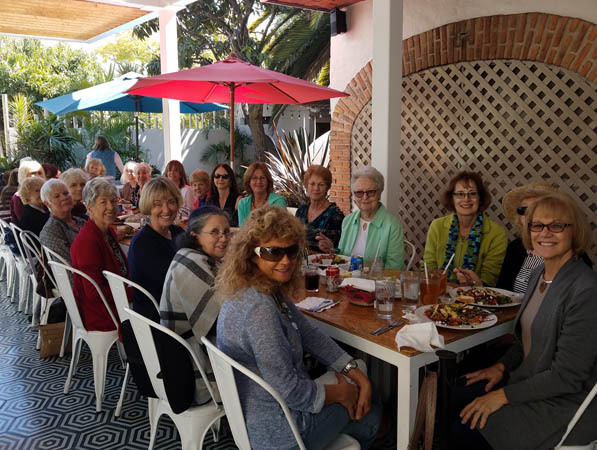 Rather than the traditional Boxer Day events we did in past years, we attended a birthday brunch for friend Suekie (in the blue). 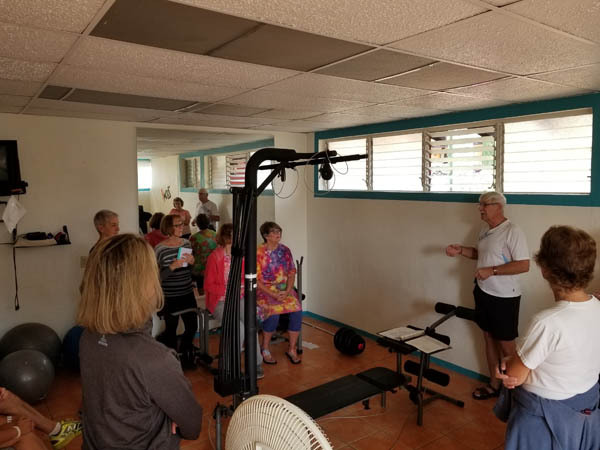 Our condo development has a tiny gym, that had been underutilized until Rick gave us instructions on the use of the BowFlex machine. Now there is a waiting list!! 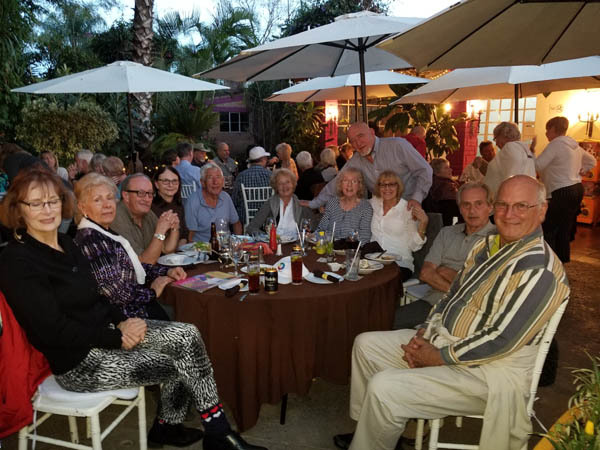 Our Monday Evening Outings at Adelita's are still a hit. Friends Rick, Sandy, John, Patty (and their house guest) joined us for great food, conversation and music. 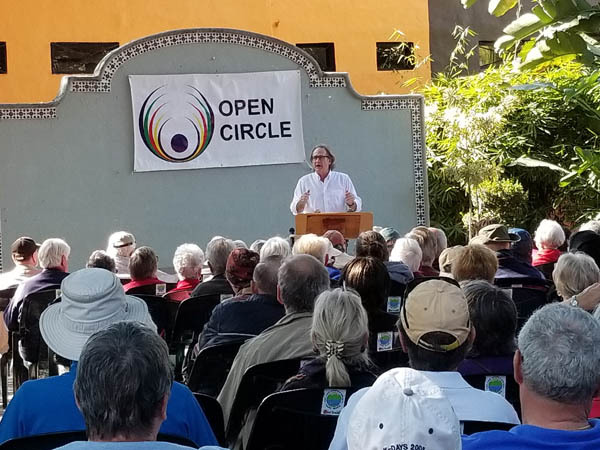 Dr. David Truly is like a rock star in Ajijic. 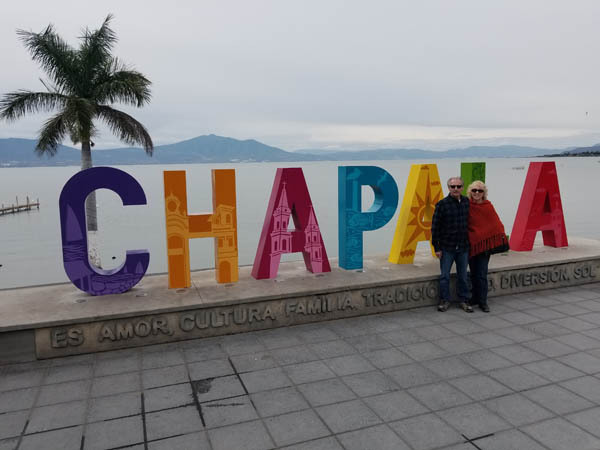 He has been studying foreign migration patterns for nearly 20 years and sharing his recent findings--a significant uptick in migration from the states. 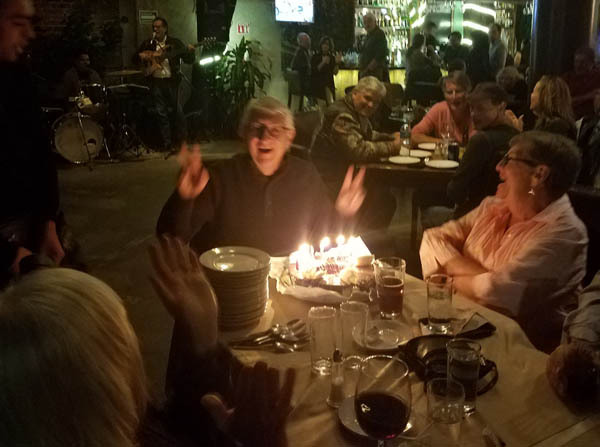 About a dozen friends joined us in the celebration that lasted until the wee hours--about 9:30!! Wednesday night game night continues. 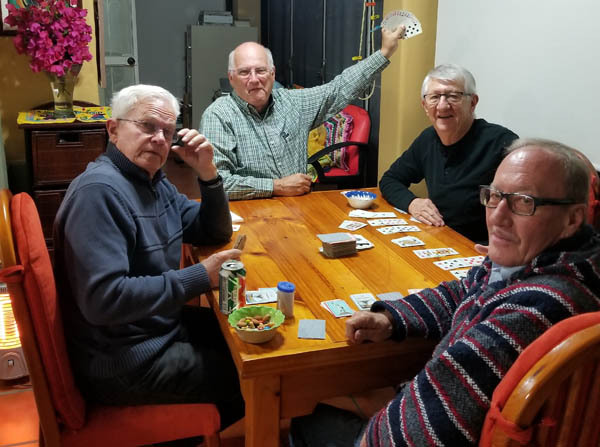 Here the boys are playing Hand and Foot, while the girls played Mexican Train. 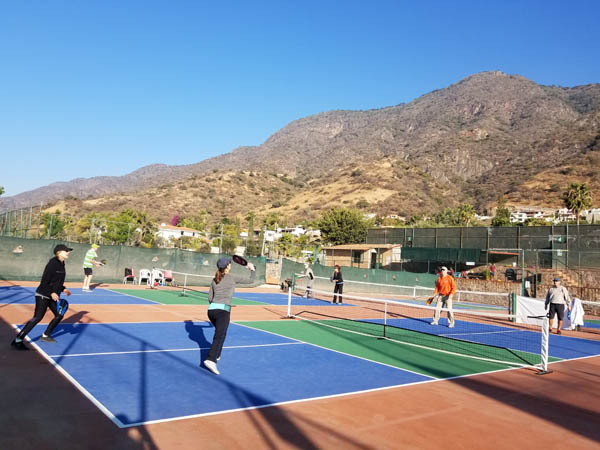 Thursday morning means pickleball with friends Jim and Margo. It doesn't look like it, but we all need a little more practice. Lip Sync, where old geisers dress up and lip sync to the hits of the 60s and 70s. 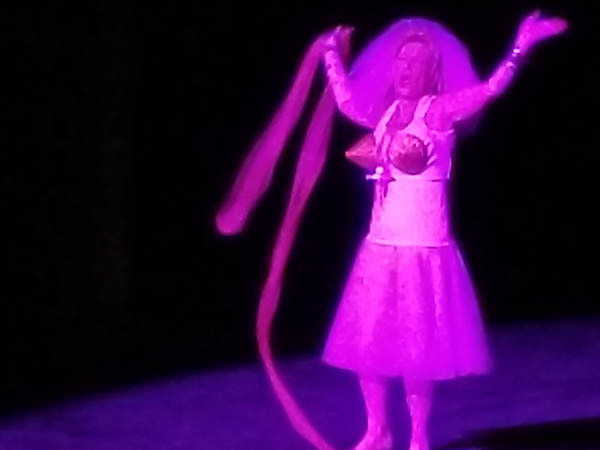 This lady is Madonna, singing "Like a Virgin." What a hoot! Or is it hooters? We joined Wayne and friends touring a goat farm. The young couple standing own the farm. They have one of the best farm views we have ever seen. 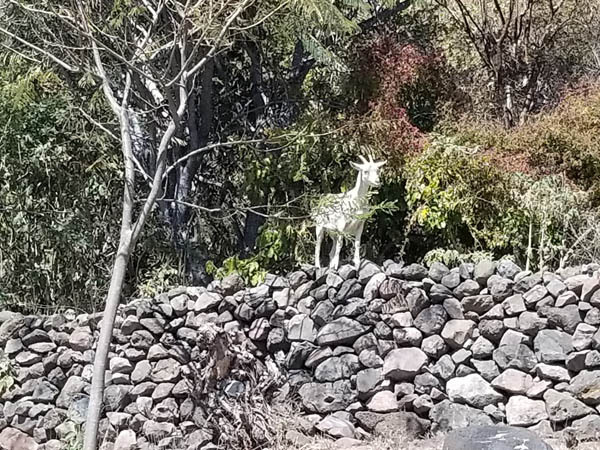 This young buck climbed this rock wall to survery the terrain and his herd of some 30 Nannnies that provide the milk for all the products they produce. 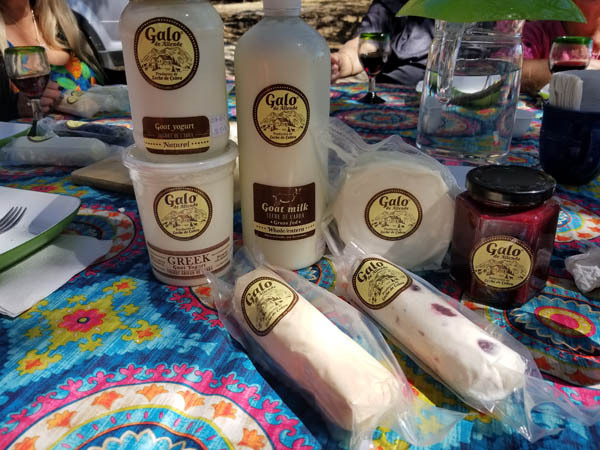 We were amazed at all the products these kids are producing from their small farm--milk, yogurt, cheese, and even jam. 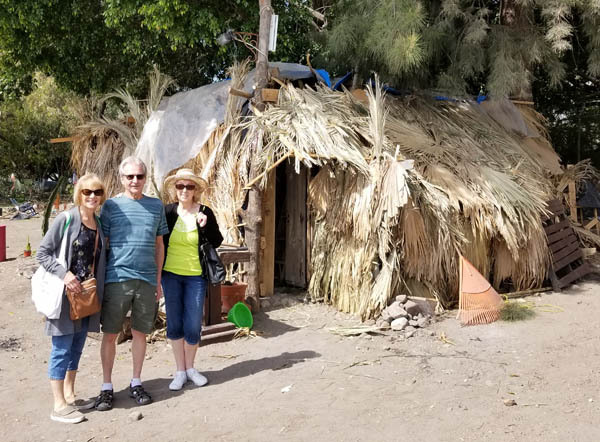 We took Jerry and Mary on a stroll along the lake and found squatters, who not only took over some prime beach front property, but also built this view home!! 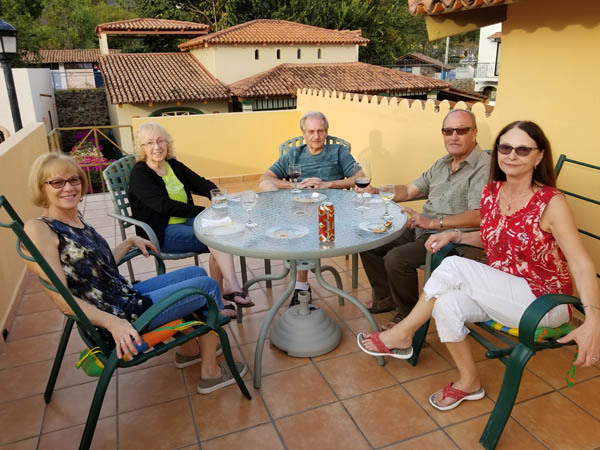 Our turn to host "Game Night" and we started it with a pre-party on our roof top patio. 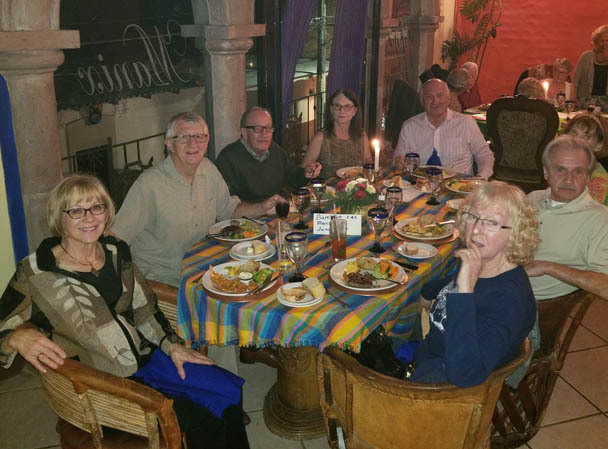 Jerry and Mary fit in just perfect with the friends we made here in Ajijic. 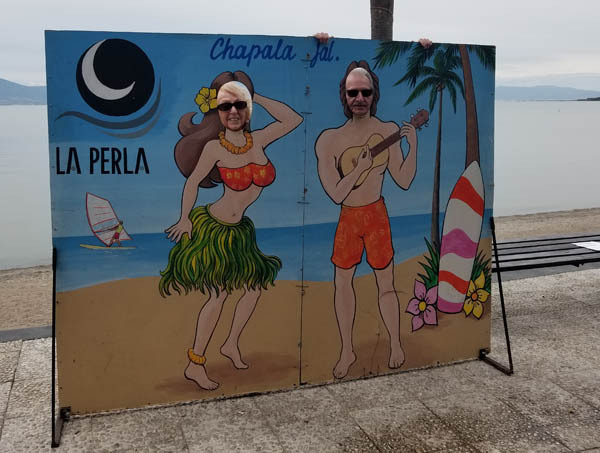 During a trip around the lake, we stopped by one of the many Melecons that line Lake Chapala. We were all enamored with this art work near Jocotepec. 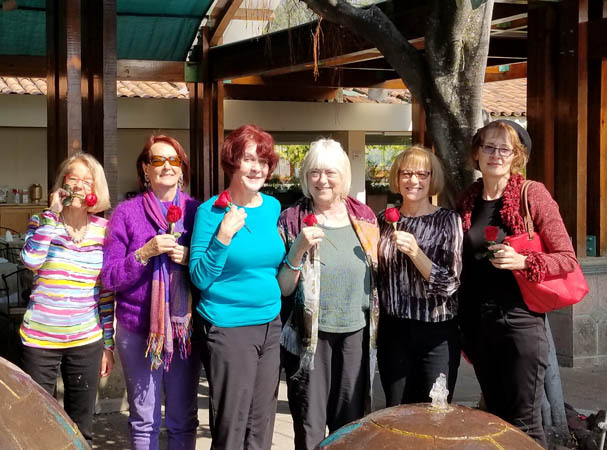 Glorine organized an "all girls' luncheon" at a local restaurant. 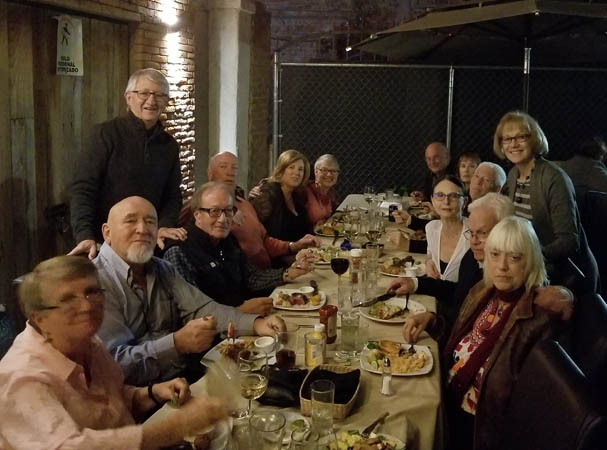 Nearly twenty friends attended. Mary was amazed at all the friends we have made over the past ten years. 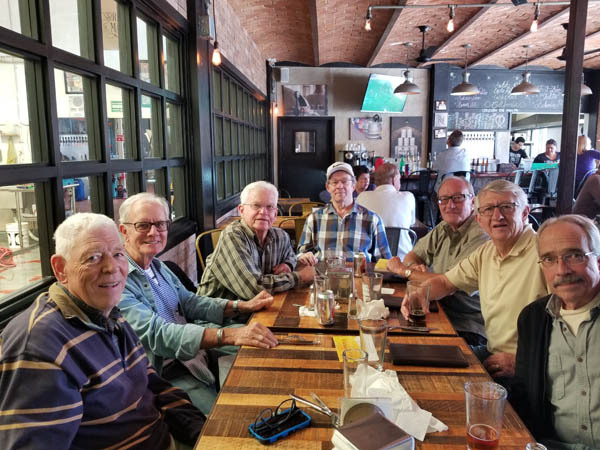 While the girls had their luncheon, the boys got together at a local microbrewery. The numbers were much smaller, because there are fewer single men that we hang with. 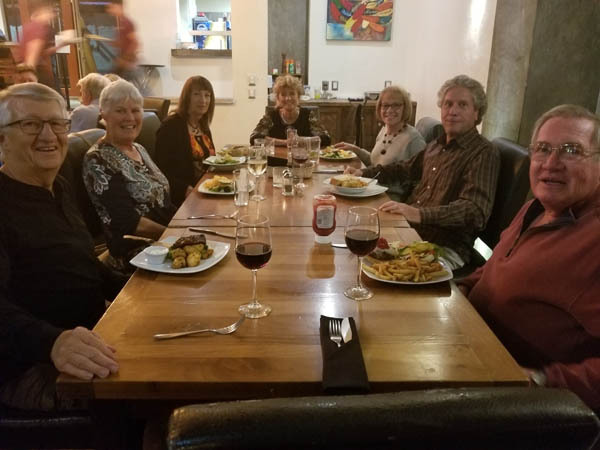 Each month, those celebrating birthdays that month get together at Manix, for drinks, dinner and dancing. 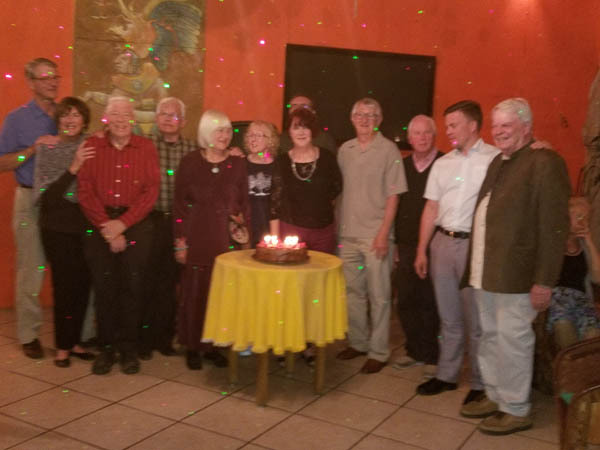 A dozen came to celebrate, along with a special birthday from friend Peter (far right) who just turned 80! 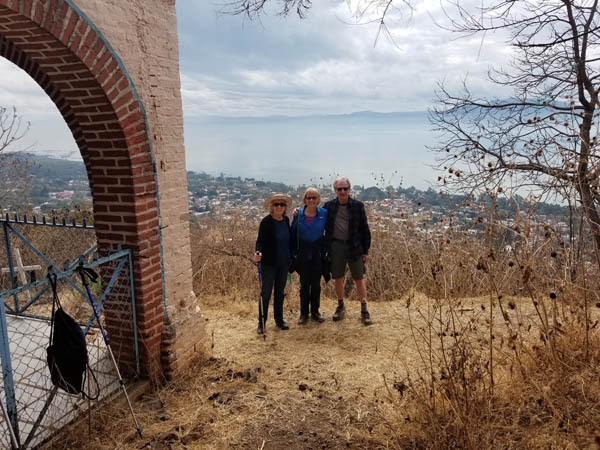 While Glorine was busy doing some volunteer work with Lake Chapala Society, Larry took Jerry and Mary for a tour of the city of Chapala. 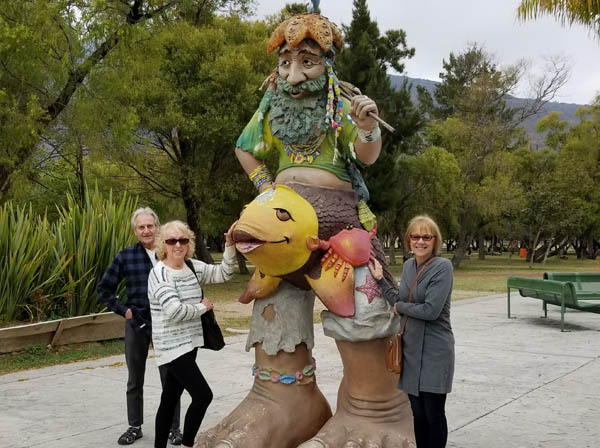 While it took a little coaxing, Jerry and Mary posed for this picture along the malacon. 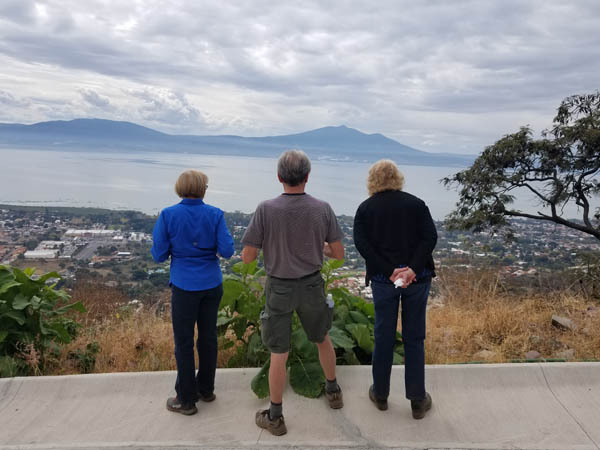 We took Jerry and Mary on a mountain hike to the little chapel that overlooks Ajijic. The trail consists of lots of switch backs that made it an easy trek, both up and down. 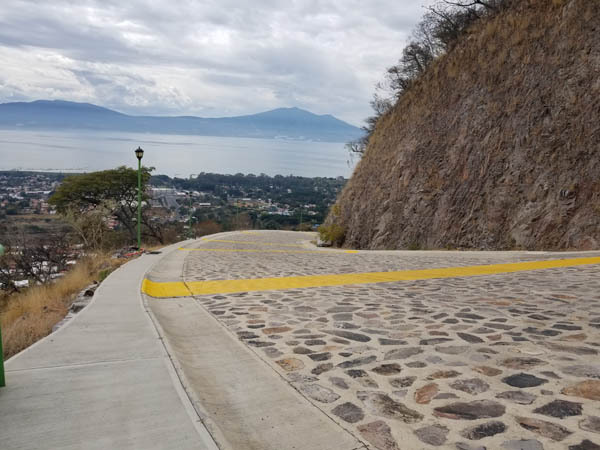 The foothills were once held sacred from developers but a new one came along and built this switchback road to the top of the mountain. Some call it an engineering marvel while other call it an eye sore. Regardless of what you call the road, the lakeside view from every part of the roadway is nothing short of spectacular. 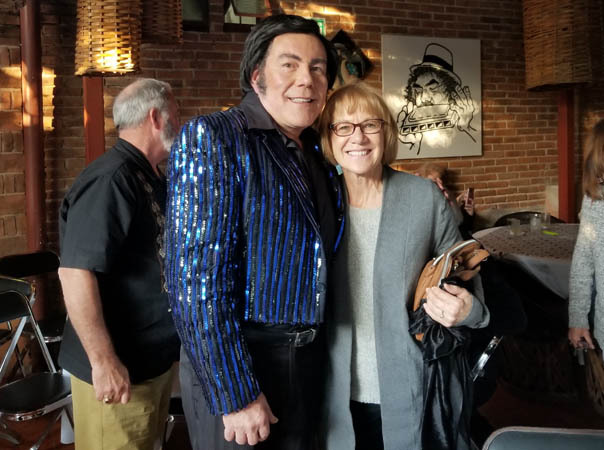 Jerry and Mary were among 22 people we invited to join us in another awesome performance by Marianna, the young lady we featured in December of 2017.